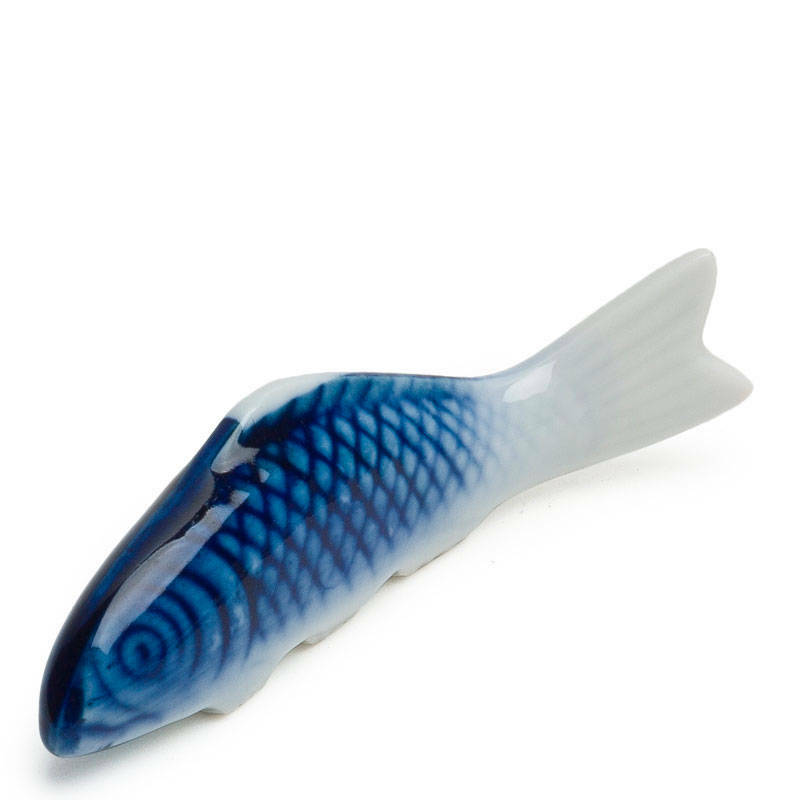 Porcelain blue koi chopstick rest. Dishwasher safe. Made in Japan.